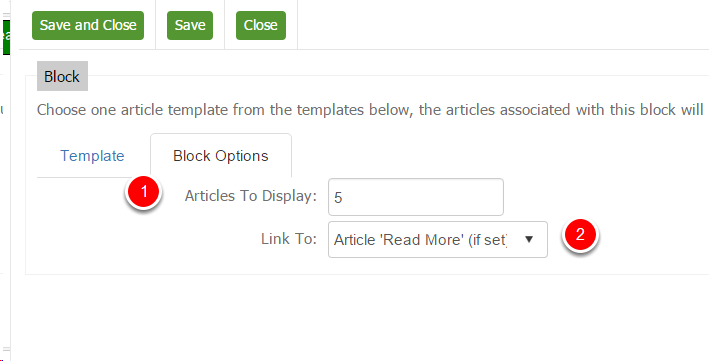 If your design consists of article blocks and you would like to have headings for the articles, you can do this within GatorMail by populating the article title. 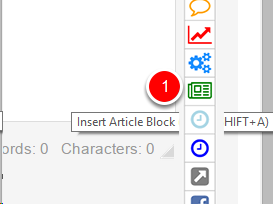 Click on the 'Insert Article Block' within the editor. This button appears on the right hand side below the 'IF' symbol. Insert a contact identifier- this is only for your reference only. 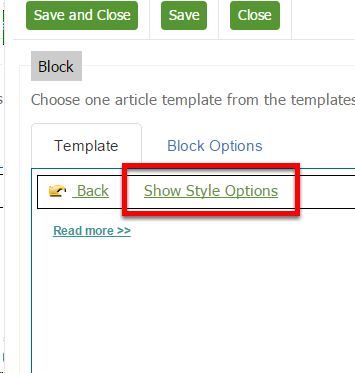 This will take you into the article block section, where you would normally select the article block template that you would like to use. 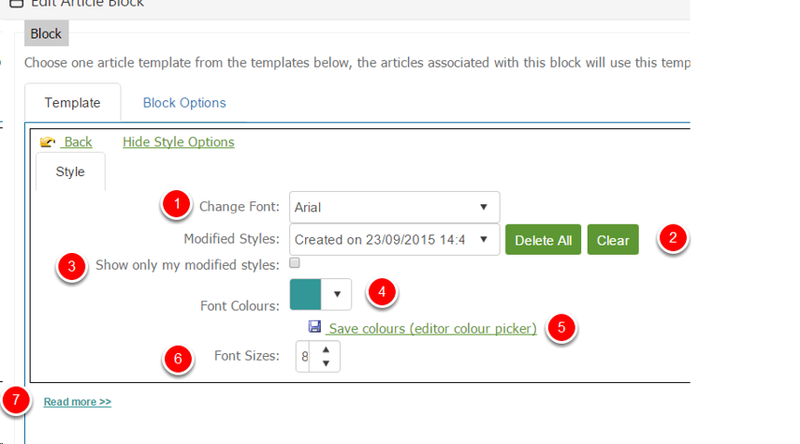 At the top of the page you will notice an 'Article Block Type' dropdown menu; click on the drop down box and select the Summary option. Select the heading type that you would like to use. You can change the styling options on the next screen. This section will display the heading section that you would like to use. If you are happy with your selection, click 'Use Template.' If you are not, click 'Close,' and choose a different style. You can change the font that you would like to use - click on the drop downbox and select the font that you would like to use. If you have used this heading option before, and would like to use the same colour, font and typeface, click on the drop down box and select the previous design. Ticking 'Show Only My Modified Styles' will only display the modified styles that were created by that user; if you have unique logins to the GatorMail product you can select the designs that you have used previously. This allows you to change the font colour for the headlines. If you click on the drop down you can either select a colour from the pallet or add a custom colour by entering the HEX or RGB code. If you have added a custom colour you are able to save the colour to the pallet enabling future use with ease. You can either use the arrows to the right of the size to change the PT size, or manually enter the size by typing it in. This will show you a live view of how your heading will appear. 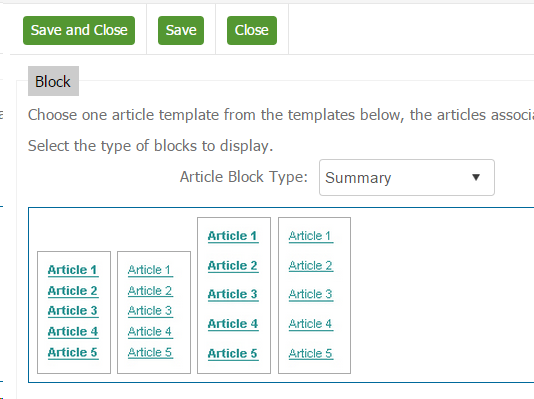 This section allows you to select how many articles that you would like to display, which is a useful feature if you are using a large number of blocks. 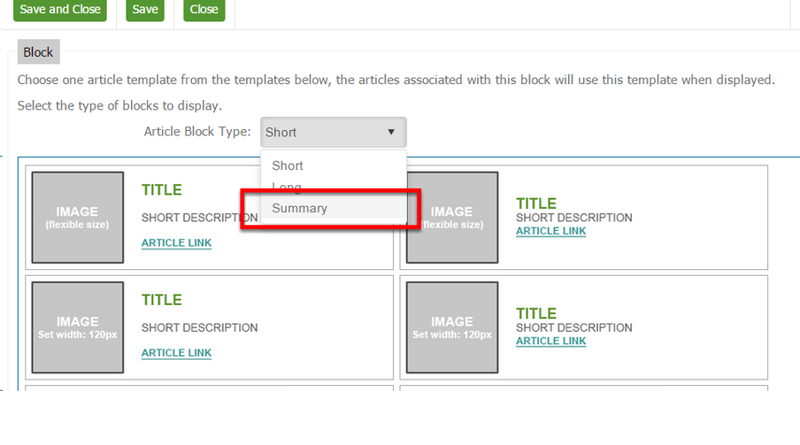 Articles to Display: Enter the number of articles that you would like to display a summary for. If there are more articles than the summary amount then it will not display the latter articles. 'Link To': You can select where you would like the "read more" link to go. i.e. to the article itself or to the article web page.